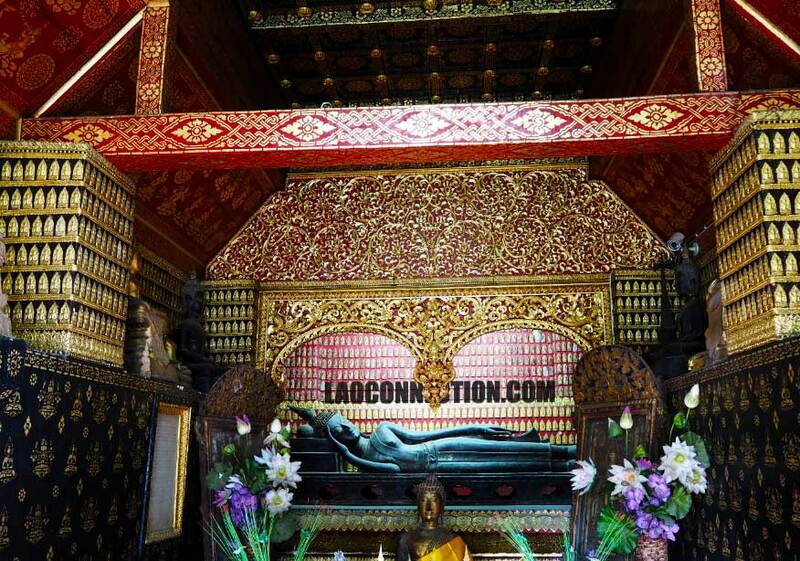 On his final passing (his death), the Buddha is depicted as lying on his side. That moment is called paranibbana in Pali. In Lao, it's pronounced palaneepan. 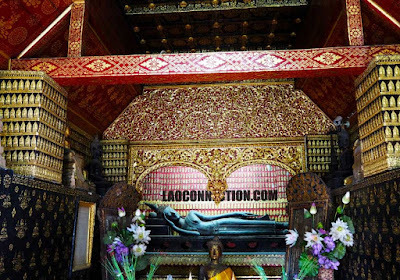 Pictured above is a shrine with the palaneepan as the centerpiece in Luangprabang.